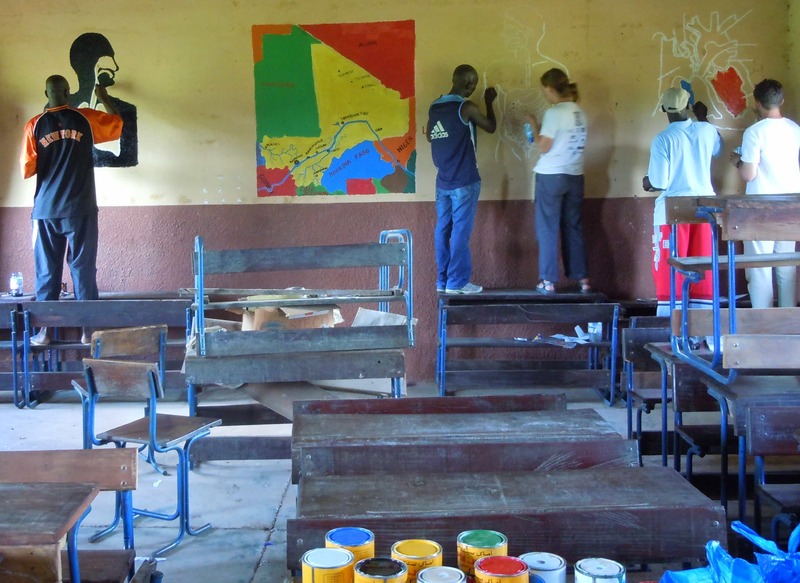 When Eliza Swedenborg returned to the United States after serving as a Peace Corps Volunteer in Mali from 2010 to 2012, she felt a desire to remain connected to the people of Mali. Now beginning her third year as Education Program Director for African Sky, Eliza has worked on a number of projects centered on improving academic performance, future employability, and global citizenship of high school students. The first program equips Malian teachers with technology skills. The teacher training program provides teachers with instruction for using Information Communication Technologies (ICT), including how to more effectively use Microsoft Word, Excel, PowerPoint and e-mail. Twenty-six teachers have participated in the teacher trainings—including one who had just given birth. Those teachers are now able to pass those skills on to their students for many years to come. In addition, Eliza and her team designed an African Sky Cultural Ambassador’s Exchange, a pen pal program involving almost 100 students, created to support, engage and inspire students to push themselves and apply their English language and ICT skills. The pen pal exchange connects students in the United States with students in Mali. Eliza is excited to continue developing projects with the African Sky team, including assisting Health Program Director Alaric Babej with the development of solar engineer training materials tailored to Malian markets. She recently won the African Sky Chiwara Award at the Annual Silent Auction.